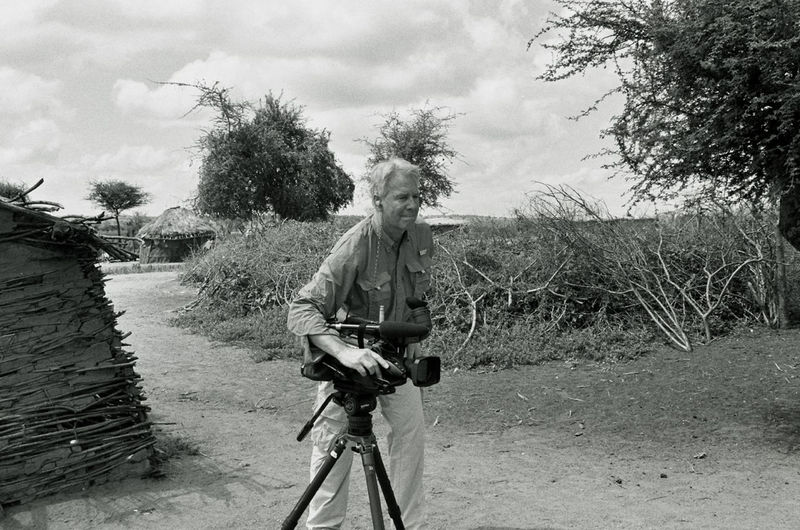 Today’s guest post is by Phil Thiesse, the KSTP video photojournalist who shot the footage for the TV report on Snapshot Serengeti and the Lion Project. I am a television photojournalist from Minnesota currently operating under the nom de plume “Safari Phil,” at least during my visit to the Lion Research Center in The Serengeti. My colleague Safari Chris and I traveled all the way from the Twin Cities to spotlight the Snapshot Serengeti project for KSTP TV’s 5 Eyewitness News. We just happened to be in the neighborhood, working on a series of reports in Arusha, Tanzania. We were able to sell the story to our bosses because one of the researchers, Ali Swanson, is a graduate student at the University of Minnesota and would be our tour guide amongst the lions. The plan was to rendezvous with Ali at a restaurant in Arusha as she passed through on a supply mission. The thought was to ride with her the following day in her well traveled Land Rover to the middle of The Serengeti, about seven hours on a good day. The restaurant we were meeting at was closing early, so Ali suggested we move to the Impala Hotel, a full two blocks away. We rode there in the Land Rover, the three of us in the front seat…the only seat, Chris bravely straddling the gear shift. It was after that 5 minute ride we decided to fly to the Serengeti instead. 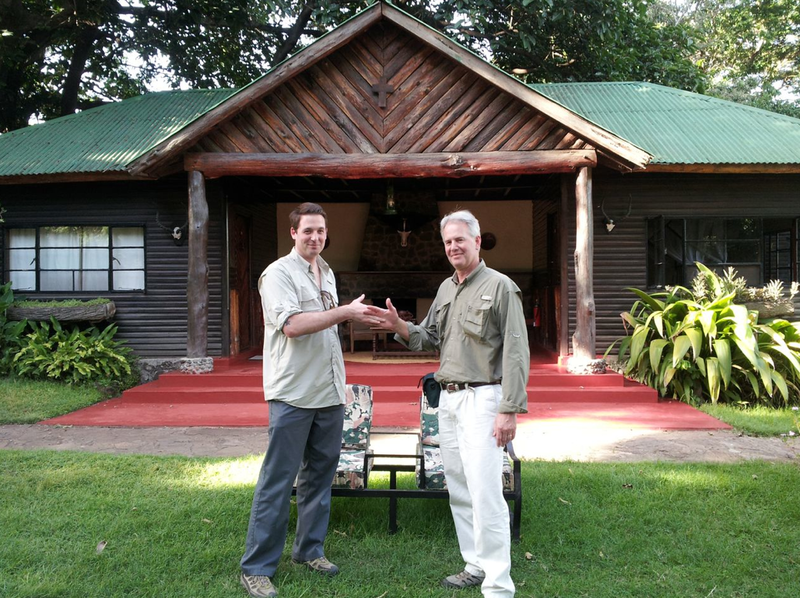 Daniel Rosenburg, another lion researcher, picked us up at Seronera Airport and in another well worn Land Rover, brought us to Lion House, where we would wait for Ali. 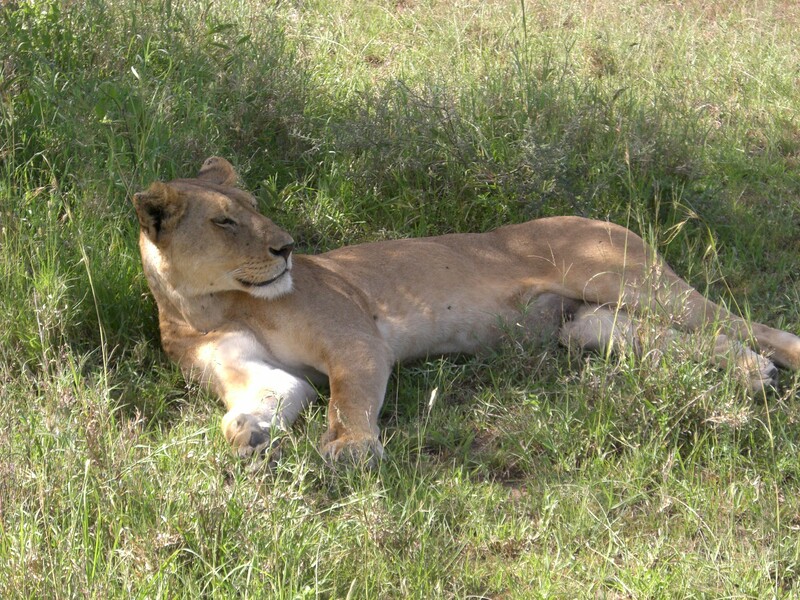 She eventually arrived with all of the supplies necessary for lion research: food, cameras, batteries, a punching bag. Wait, what?? For kick boxing. An excellent workout, I’ve been told. We were treated to a satisfying dinner of pasta, bacon and tomatoes. And a sip of Scotch. Or two. We hit it early the next day, heading out at sunrise to get video of lions and of Ali and another researcher, Stan Mguzu, tending to the hundreds of game cameras that provide images for Snapshot Serengeti. The cameras were easy to find, but the lions proved to be a little more elusive. Daniel’s expertise at tracking finally got us in the middle of two prides. In addition, we were up close to zebras, impalas, cape buffalo, dik-diks, giraffes, topi, an eagle, warthogs, gazelles, mongoose, baboons, monkeys, hippos and hyrax. There was a dinner party to top off our last night in the Serengeti. Two people from Cheetah House joined us for sausage, fried egg plant, and some fantastic made-from-scratch mashed potatoes. Chris made a run to the outhouse as the evening wound down and the researchers made it a trip he’ll never forget. As we waited patiently for his return, I expressed my opinion that this was a really bad idea, but the others were confident in their decision. Like they had done this exact thing before. We heard the returning footstep stop dead in their tracks and even retreat a bit, but luckily, we didn’t hear Chris grab his heart. He did have a few choice words for the group, but survived yet another close encounter with a Serengeti lion. Thanks to the expertise and hospitality of Ali, Daniel and Stan, we were able to bring the story of Snapshot Serengeti to our viewers in Minnesota. That story, along with others featuring Minnesota connections to Tanzania, can be seen on KSTP.com.